One of the most anticipated tournaments of the year is about to start: March Madness. 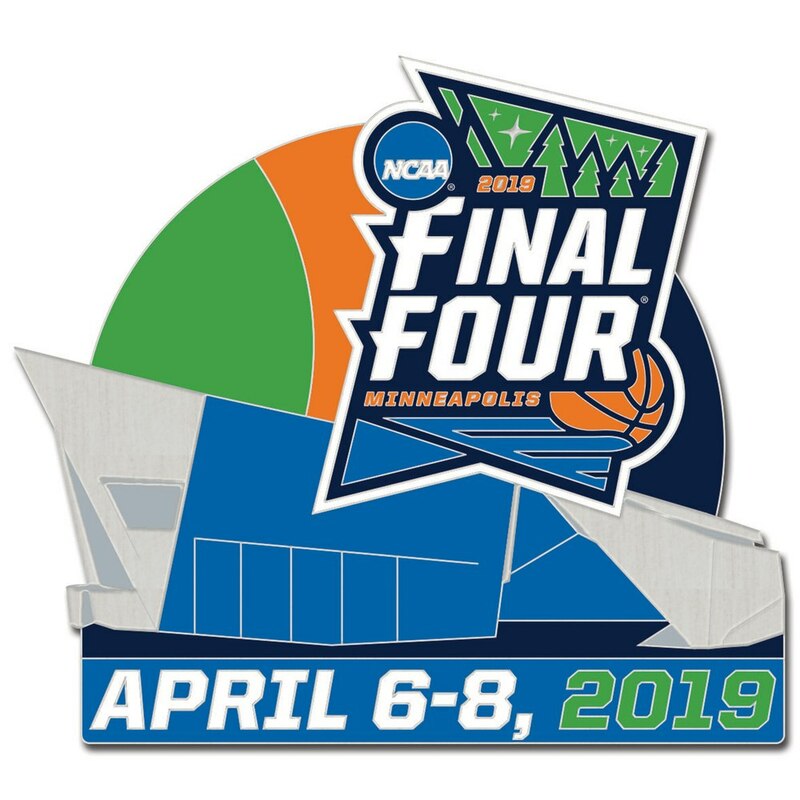 This is a tournament of the best 68 teams in college basketball all competing for a chance at a National Championship. This year’s tournament promises to be exciting, with strong #1 and #2 seeds and several teams with the potential to upset it all. If you have heard of college basketball, you’ve heard of Zion Williamson. This kid has been all over social media for his dunks and dominating performances. He will most definitely go off in the rounds of 64 and 32 as they look like easy wins for Duke. We may see another fast break 360 windmill dunk that will for sure get you out of your seat. He is the leader of the team and without him on the court, Duke doesn’t look like a Final Four team at all. Cassius Winston is a well known player around the NCAA, but doesn’t get the recognition he deserves. Cassius leads the MSU team in points (18.9) and assists (7.6), but also leads with his mentality and how he handles adversity. Cassius is known for being able to play great in clutch games and I expect him to do the same in this year’s tournament. Over the years, I’ve learned you’ve got to look at the teams who are on fire and who has been in a recent decline. That has been the case for Maryland, losing the last 3 of 4 games to close out the season. Belmont is a team that has caught fire as of late and comes into the tournament looking to prove that little conference teams matter, too. They just won their first ever NCAA Tournament game on Tuesday and look to ride that wave when they take on Maryland. LSU is a team that has had off the court issues this year and will be a distraction heading into the tourney. Even though they have great players in Naz Reid and Tremont Waters, this will be a factor in them losing to Yale. Belmont is a team that has been overlooked all year. They have been healthy and kept the rotation constant all year as well. Belmont had to win a play in game to even get a chance at being able to play against Maryland, but every year since the play in games began in 2011, a team that’s won a play in game that year has went on to win another game in the tournament. If Belmont gets past a Maryland team who hasn’t looked good recently, they can definitely get past Yale, who will be upset by a disorganized LSU team. This section of the bracket in my opinion is the easiest to fill out. The obvious choice is to take Duke, right? Don’t look over the potential round of 16 matchup between Duke and Virginia Tech. If Duke were to lose to a surprise team, this would be the one. Virginia Tech has already beaten them once this year, but that was without Zion Williamson. The Elite 8 game will also be a tough test if both Michigan State and Duke make it there. If MSU does make it to the Elite 8, don’t be shocked if Tom Izzo’s Spartans defeat the Blue Devils and move onto the Final Four. They have tons of shooters and an experienced coach on their side to game plan against the best team in the tournament, and if Zion gets hurt or MSU misses very few shots, the Spartans could ruin many people’s brackets – but not Michigan Governor Gretchen Whitmer’s bracket, because she has State winning the whole thing. They might be the two best players in this region and it just so happens that they get to play against each other in the first round. JA Morant and Markus Howard both are in the top ten for points per game with Howard averaging 25.0 PPG and Morant averaging 24.6 PPG, and Morant also leads the country in assists per game with 10.0. Morant is a projected top 5 NBA pick, and games like these can prove why he should be a top pick. These two players are more than likely going to be guarding each other and will definitely be a great game to watch. With potentially the two best guards in the tournament playing against each other, this will be a fun game to watch. JA Morant and company will ultimately prevail and beat Marquette in a close game. Marquette has been trending downhill as they have lost their last 4 of 5 regular season games. Coming into the tournament, that’s always a sign of warning and they haven’t been consistent at all this year, while Murray State has only lost 4 games this year. Florida over Nevada isn’t really a huge upset, but a 10 seed vs a 7 seed game is always fun to watch due to the fact that those teams are usually evenly matched. A month ago, you could’ve debated Nevada for a 2 seed, but here we are today and they have a 7 seed. That was at the end of February when they got there second loss, and since then have looked out of sync. Nevada has no proof they can hang with teams that have proved themselves this year, and that’s why Florida is the smart pick here. Coming into the tournament, the Buffalo Bulls won the regular season and conference tournament in the MAC. The Bulls have depth at every position and could bust your bracket as a 6 seed. Last year in the tournament, Buffalo upset a good 4 seed team in Arizona with the number 1 draft pick DeAndre Ayton. If they beat that team last year, this year they could do some more damage. Florida State isn’t getting enough credit for what they’ve done this year. Coming into the tournament as a 4 seed, since February, Florida State has only lost two games. Those games were to number 1 seeds Duke and North Carolina. Those are 2 good losses and Florida State didn’t even play their best basketball on those days either. If Florida State can get to the Sweet 16 and beat Gonzaga, don’t be shocked if they beat Michigan in the Elite 8 and advance to the Final Four. Michigan comes into the tournament 28-6, but 3 of those losses are to in-state rival Michigan State. If you take those 3 games away, they’ve lost 3 games to Iowa, Penn State, and Wisconsin. All 3 of those games they couldn’t shoot the ball well while not playing great defense like they are accustomed to. If Michigan can shoot well enough play tough defense, they will have an easy way to the Final Four. Florida State would have a tougher time getting through the Final Four, potentially facing 1 seed Gonzaga and 2 seed Michigan. Big men are key for Florida State because Gonzaga has one of the best Big men in the country in Rui Hachimura, soon to be a first round NBA draft pick. If they get past Gonzaga, Michigan will be a tough test as well. Michigan has the ability to space the floor and knock down 3’s in transition. It might be a long shot, but there’s still a good chance that Florida State can advance to the Final Four. Virginia guard Kyle Guy is one of the nation’s most underrated players. Kyle has single handedly taken Virginia to two straight number 1 seeds in consecutive seasons. Last year, Virginia was the first team ever to get knocked out in the first round by a 16 seed. Kyle has used that as motivation each and every day and hopes it pays off for him and his team in the tournament this year. The ultimate duo of Tennessee players Admiral Schofield and Grant Williams can be a deadly combo for any team that has to play Tennessee in this year’s tournament. Schofield can space the floor at any time and if he sees a lane to pass, more than likely he will to set his teammates up for a great shot. Williams is 1 of 4 finalists for the Naismith player of the year. He leads the SEC in scoring (19.0), ranks 2nd in field goal percentage (.565), and is 6th in rebounding (7.6). He has been a great leader all season, teaching the young guns and motivating the older guys. Watch out for this duo trying to steamroll through the South. Oregon earned a bid in this years tournament by winning the Pac 12 tournament. They will take March Madness by surprise, playing a Wisconsin team that hasn’t clicked in the last month. Wisconsin will be trying to pick up where they left off earlier in the year, but I just don’t see it happening. Oregon is too hot right now and Wisconsin’s best player, Ethan Happ, hasn’t been his best self recently. The UC Irvine Anteaters come into the tournament riding a 16 game win streak and they won’t take their foot off the gas against Kansas State. There defense can win them a game in the tournament, but scoring wise they won’t be able to hang with the better teams. Their free throw percentage is very low, and if games get close, don’t count on UC Irvine closing it out or coming back. That’s why the Anteaters can upset Kansas State, but won’t go any further than that. Oregon has overcome adversity this year with losing a key player in Bol Bol due to an injury. The team hasn’t looked the same since then, but has found a new way to play just in time for the tournament. They are clicking on all cylinders heading into the tournament and a team to look out for with a low seed. With a 12 seed and playing a Wisconsin team who hasn’t looked good recently, they will easily advance in the first game. Villanova is a huge sleeper team this year in the tournament. They won it all last year against Michigan and will be looking to go back to back. Coming in at a 6 seed, they look to show people that they should’ve been seeded higher. If Villanova can win a tough first round matchup against Saint Mary’s, they should easily beat an overrated Purdue team in the 2nd round. Virginia is looking to put all of the doubters in the past with a good run at a title this year. After last year’s Virginia team lost to 16 seed UMBC, almost everyone has had laughs at their expense since. In my opinion, Virginia got better in all aspects of the game and one aspect you can’t track with stats is where they grew the most: leadership. Virginia guard Kyle Guy has taken last year’s loss personally and made sure that won’t happen again this year. I’m expecting Virginia to be an even better team than they were in the regular season and dominate everyone in there way to a Final Four. Tennessee also has a good chance to make it out of the South as well. The duo of Schofield and Williams will be hard to guard, but Tennessee has a way harder path to the Final Four than Virginia does. After winning there first game (if they do), they’d have to play a tough Cincinnati team who should’ve been a higher seed in my opinion. If they win that, then they’d have to defeat the champs from last year in Villanova, then go on in the Elite 8 and beat Virginia to win the South (assuming all of these teams win). It’s for sure possible, but the odds are not in their favor. North Carolina guard Coby White is looking to make a statement in the tournament. He is underrated just like Cassius Winston, but has had more opportunities on TV to showcase his talents and hasn’t done as well as Cassius yet. I’m not saying Cassius is a better player than White, but White should have something to prove for himself and for his team. Fletcher Magee (what a name!) has lead his Wofford team in scoring at just under 21 points a game (20.5). His main specialty is shooting the 3 ball from all over the court. Expect Fletcher to be pulling up a lot during his time in the tournament. Whether it’s just for 1 game or more, he will for sure looking to prove he deserves to play with the big guys. 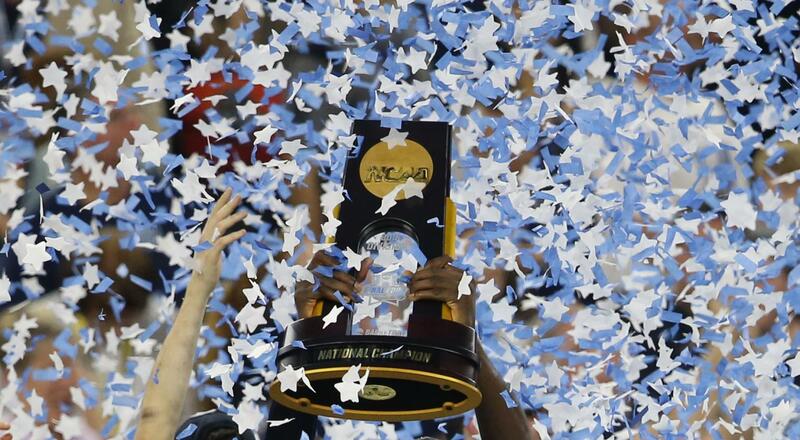 Auburn is coming into the tournament hot after winning the SEC tournament. This gave them an automatic bid into this year’s field, but one thing that they don’t have that New Mexico State does is a strong winning record. This year, New Mexico State has won 30 games and will be looking to add one more to the win column against Auburn. Northeastern over Kansas might be a stretch here for an upset. Starting 4 guards is a bold move for Northeastern, but this strategy can be an advantage when playing a small Kansas team. Kansas has been struggling this year compared to how they normally play. A 9 loss Kansas team is still a good team, but with Northeastern being able to prepare for Kansas for 4 days, they will prevail in a tight game and pull the upset. New Mexico State will pull off the upset against Auburn and leave them with an easier game due to Kansas getting upset by Northeastern. The Aggies from New Mexico will have the best shot from this region to pull off the Cinderella story this year. Advancing to the Sweet 16 should be the goal for this team. If they make it there, more than likely they would have to play 1 seed North Carolina. North Carolina would overpower the Aggies and hence eliminate them from the tournament, ending there run. North Carolina is the clear favorite to win this region with all of the star power on the team. Coby White, Luke Maye, and Cam Johnson have great chemistry between them and can elevate each other’s play. They are a dangerous team this year and looking to prove to people that they can win the title. The brackets I’ve seen from friends and family mostly have North Carolina going to the National Championship but losing to Duke. The winner of the potential Houston Kentucky game will give North Carolina a run for there money. This potential Elite 8 matchup will be a great game to watch no matter which team is playing North Carolina. Both Kentucky and Houston can match up well with the Tar Heels and potentially ruin a few brackets. Houston with a 3 seed and Kentucky with a 2 seed won’t get past North Carolina, but will give fans a great game to watch. I know your reaction: You’re not going with Duke to make it to the Final Four?!? Crazy, right?Duke has the best shot at winning the title, but shooting 3’s and playing great defense is something they can’t do well, and therefore Michigan State will make it out of the East. This sets up the fourth meeting of the year for Michigan and Michigan State, and because Michigan has been more of a tournament team in years past than Michigan State, Michigan will come out on top even though State is 3-0 against the Wolverines this year. Despite this lopsided record, Michigan will be looking to win the only game that matters in the tournament. While Michigan has had a double digit lead in all 3 contests they have played, they’ve blown the lead and lost in all 3 of those games. This time they will hold that lead with more at stake and head on to the National Championship for the second straight year. In the first matchup between these two, Virginia won 69-61 at North Carolina. Since this game though, North Carolina has been on a tear and only lost 1 game to a healthy Duke team by 1 point in the ACC Championship. Despite this, Virginia will prevail in the matchup between the two. Kyle Guy will catch fire in this game just like he did in the first matchup, scoring 20 points. I think he will have even more points this time and be the key factor in winning this game. Virginia has North Carolina’s number this year and will beat them in a close game to advance to the final against Michigan. So you finally made it down to the end of the article to see who my champion is. Or more than likely you just scrolled down to the bottom to see who it is. Michigan will redeem themselves from last year and bring a trophy back to A2 for the first time since 1989, when Michigan beat Seton Hall in Overtime. Michigan’s defense will be too much for Virginia and Michigan will make a lot of transition 3s of Virginia. The final score will be Michigan 70 Virginia 65. View my complete 2019 March Madness Tournament bracket here.